Last month, I spent a few days in Seattle, Washington. I lived in Seattle for a few years back in the late 70s, moving to Connecticut in 1981. I wasn’t there long enough for it to feel like a home town, but I’ve always had a fondness for the city. I’ve been back numerous times for meetings and conferences. I took my wife there on our honeymoon and I took our daughter there on vacation when she was in high school. Actually, on both of those trips, and for that matter, even when I lived there, Seattle was a base camp for a driving tour of the Pacific Northwest. Accordingly, there are many downtown Seattle attractions that I am not familiar with. One of the areas of the city that I never spent much time in is Pioneer Square. It’s the oldest section of the city, and it’s not the safest area to be in at night. It had that reputation when I lived there, and I’m told it carries that reputation today. Still, when I realized that The Courtyard Hotel in Pioneer Square was within walking distance of the IBM Building (where my meetings were being held) I decided it was time to visit. I arrived Monday evening, and my first meeting didn’t start until early Tuesday afternoon, so I ventured out for a walk through Pioneer Square up to the familiar ground of Pike Street Market. Along the way, I took pictures of interesting doors – who doesn’t do that? As I approached the market, I walked through Post Alley and found the other doors featured today. Yeah, that’s gum. The Market Theater Gum Wall was named one of the top 5 germiest tourist attractions in 2009 – now that’s an honor you might encourage your city leaders to avoid chasing. The featured door at the top is at Merchants Café, which claims the title of Seattle’s Oldest Restaurant. It wasn’t open when I walked by, and my meetings included dinner, so I didn’t have time to venture inside. The description on their website makes it sound like a very interesting place. Among other things, it features an underground bar and it may be haunted. The Market Theater Gum Wall extends before and beyond the entrance and covers both sides of the alley. One of the best farmers markets in the country. When I lived in Seattle, I frequently picked up fresh seafood and veggies.on the way home. This is the Mutual Life building in Pioneer Sq. So many of the buildings there feature arched entryways. I don’t know much about the Interurban Building but I like the color of the doors. This is the original Starbucks. The line to go inside was about 30 minutes long. I don’t like Starbucks coffee, but a picture of the door and the sign seemed appropriate. Near Pike Street Market is Post Alley. Home to the Market Theater and its Gum Wall. This post is part of Norm Frampton’s Thursday Doors series, to which I am addicted. It’s a fun way to share some photos, see some great doors and meet so very nice bloggers. You can join buy clicking the blue button on Norm’s post. Don’t have a door today? Don’t worry, Norm lets you post as late as Saturday morning. There is a quaint canal town in Ohio, where they make “loose meat” sandwiches. They are delicious and have a gum wall. I hope germs wear off Robin, I spend a good long time in that alley taking pictures. I would love to go to Seattle by train someday. I love trains, and that would take me through the Cascade Tunnel which I think is the longest tunnel in North America. Thank for the comment. Have a great weekend! I want to ride through that tunnel, for sure. Great post, Dan! I surprised myself by how strong my reaction to the “gum wall” was. EEEWWWWW!!! Then again, maybe I just need the rest of my coffee. Merchants Cafe sounds wonderful. I’m sorry you didn’t get to spend time there. My favorite is the one with the reddish archway. For some reason I love arches… no idea why. Thanks Teagan. 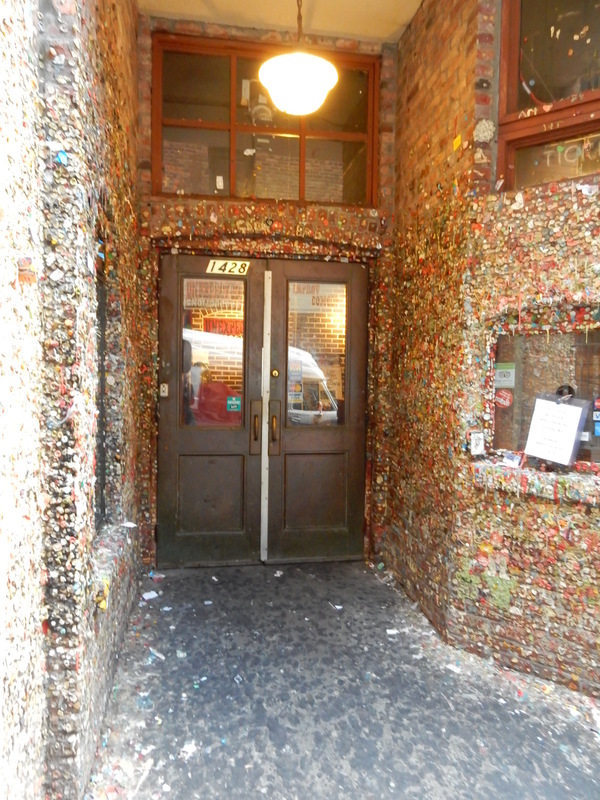 In the first draft, I featured the gum wall and titled this “Eew Ick” but I really like the doors of the Merchant Cafe. I’m sure I will visit Seattle again, and I will make time to visit the cafe, at least for a beer. Enjoy your Thursday. Sorry about the ick-factor. Not a fan of the gum wall either! What bizarre idea? 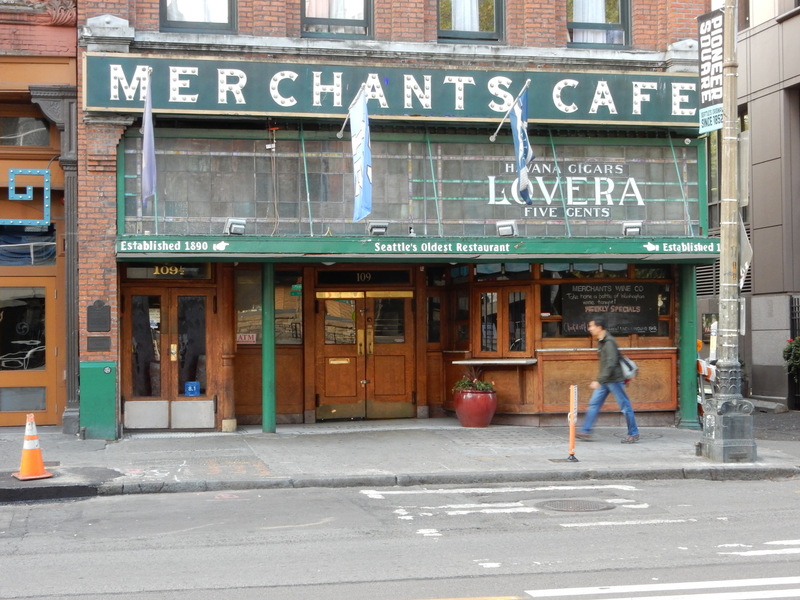 If I ever hit Seattle, I KNOW I’m getting to the Merchant’s Cafe!! I might even have to take a look see (NOT a touch) at the gum wall! I’m sure I will be back, and Merchants Cafe is on the list. Thanks for the comment and support. Thanks John. I think places that keep their character over many years really look good today in contrast to those chrome and glass palaces that are being built today. Thanks! Gum wall? Now I’ve seen everything! Can’t say I don’t like it. It’s a lot of gum. Unique. A little icky at first, but interesting. Thanks for the comment. Glad you enjoyed it Judy. It’s one of the few cities that I feel compelled to visit from time to time. Norm, haven’t been to Seattle in years, but it’s a great city. I like Merchants Cafe, but the gum wall, not so much. My husband would really hate it. :-) Makes for interes! I need to visit Merchants the next time I’m in the city. The Gum Wall, I think that can be one and done. Thanks for dropping by today. I have a few more posts from this little walking tour Norm. No more gum. I couldn’t bring myself to feature that door, but I couldn’t leave it out. Thanks! I’m sure I’ll be back to Seattle, but I’ve seen the Gum Wall and once might be enough. Thanks for the comment. Seattle is on my bucket list now! My favorite doors are in the terra-cotta arches. I do love me an arch. I love the arches as well Marian. The Pioneer Sq area is loaded with masonry arched doorways. It’s very beautiful. I find myself looking forward to each Thursday for your door posts. Wonderful. The gum wall is not on my bucket list, but Seattle definitely is. Thanks. Thanks! I’m glad you enjoyed this. The gum wall was an accidental discovery. I’m not sure it needs to be on the list. The older section of the city is impressive. A couple of miles away, Amazon is tearing down everything in sight to build 2 or 3 skyscrapers. Washington has so many wonderful places to see that it’s hard to stay long in the city. Other than the view, a skyscraper is a skyscraper. Thanks for your continuing support. No more gum, I promise. If you hadn’t made that promise, I would have insisted on a talk with your editor! I don’t think she would approve any more of these. She doesn’t always see the photos, but I put the two feature photos in the draft for her. Nice job, Dan. More good pics from the caffeine capital. (Except for Gum Alley. That’s disgusting.) In fact, I’m thinking you could expand this into a mid-week series. Imagine treating us, for example, to Tuesday Roofs and Wednesday Windows. Architecture fans, unite! Thanks Paul. My other architectural fascination is bridges. If I still lived in Pittsburgh, I’d have about an 8 year supply in the city alone, but there aren’t many around me in CT. I pressed send before thanking you for the comment and apologizing for the gum. It is gross, but I couldn’t resist including a few. I did leave out the close-up. No problem, Dan! I always feel the TY is implied, but I appreciate that. As for the gum — it IS a local landmark, so I can’t blame you for, ahem, sticking it in with the other pics. It’s a good opera, if you like opera. I got to see a bit of The Ring (friend’s wife got sick). 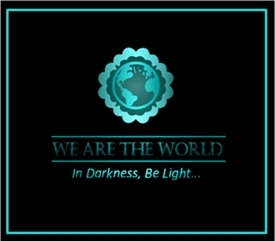 Ha – We’ll all need to see the picture of your contribution :) Thanks for dropping by and commenting. Looks like you got some excellent Seattle weather! I’ve been to Seattle a few times but I’ve only seen the sun up there once! I was there on two very nice days but, sadly neither offered a view of Mt Rainier. The gum wall gave me the willies. I can’t imagine walking in that place (between two walls of gum) I Liked the cafe door and so will keep in in my mind the rest od the day.. I think you’re in the majority John. I am so glad I didn’t try to make the gum wall its own post. Go with the cafe. thanks for your comment. Yes I’m glad as well. Awesome post. I normally associate Seattle with horror movies. So only certain areas of the city unsafe or in totality. Also which city as per your experience is the safest and unsafe of all in the United States. Thanks Sharukh. There are bad places in almost every urban area in the US, The worst I ever experienced was NY City in the late 70s, although many of those areas are much safer today, I also traveled to Detroit in the 70s and that was very bad. I don’t know the status of that city these days. Hartford has some areas where I wouldn’t walk at night. I didn’t find this area in Seattle to be a problem when I walked back after dinner the night I was there. Yes, I understand that every city has that unsafe zone. In India, unfortunately the most unsafe city is the capital city itself. In fact, so unsafe you can’t guarantee anything even in broad daylight. In Mumbai certain areas of South Mumbai where prostitution is rampant is certainly unsafe. I have walked those streets at night, even had couple of close encounters with not so good elements, but I still believe Mumbai is lot safer than the capital of India. I really like the doors of the Mutual Life building, but the Merchants Cafe looks great too! They did try to scrape, clean and bleach the gum wall once, but the gum returned so they decided to embrace the gum (figuratively only, I hope). It was gross standing there to get photos. I am partial to the arched doorways, but I didn’t have a good photo of the doors due to the lighting. Thanks for your comment Wendy. Beautiful. Strangely enough, I’ve never been to Seattle, and it’s not far from here. If I do, or maybe I should say when I do, I know here to go now. …and, maybe where not to go (gum wall, your choice) There are some very nice things to see out there. Thanks for dropping by and leaving a comment. I second the Ewwww on the gum wall. Neat photos. I have tried Seattle’s Best Coffee and Peet’s Coffee. Have you seen them up in Seattle? I like the idea of a haunted bar below ground, very mysterious. I really enjoy Seattle’s Best coffee. I like the idea of a haunted bar too. I wish I had read about Merchants before I was out there, I would have tried to at least go in for a beer. I’ll add you to the no-gum-wall list. Thanks for the comment. Hmm, gum wall, not my cup of tea. You’re in good company – Thanks! I enjoyed that post, Dan. The Gum Wall is quite unique but I hope it doesn’t start a trend off, lol. Thanks Jean. Yeah, I kind of like the idea that the gum wall is almost 3,000 miles away. I hope it doesn’t migrate east. I always wanted to live in Seattle. I lived there before Microsoft was a thing, so it was quite different, but I really enjoyed the three years I was out there. I was able to hike in the Cascades and visit the Olympic Peninsula. Plus a couple of road trips down the west coast into CA. Thanks! Just all those trees reaching endlessly up to the sky….yep I wish I could see that just once. Good for you! The gum wall made me gag a little. Don’t think I could walk past all of those chewed-up germs to enter the theatre…but, hey, thanks for sharing. I wouldn’t have otherwise known it existed. Dan, You’ll have guessed I enjoy this regular feature from you. I first read this particular post on my phone, rather early in the morning NZ time and I wondered what you meant by a gum wall. Then, I checked it out more closely on a larger screen – gross! Nevertheless, the rest of the photos have confirmed my expectation that Seattle is an interesting and beautiful place. I love the gum wall. Looking back through the comments Marc, I think that makes one of you. I thought it would make some interesting photos. I won’t be showing them here. Thanks for dropping by. The gum wall is both horrifying and mesmerizing! Thanks. That puts you pretty high on the list of “the nicest things said about the gum wall” :) It was gross to be standing there, but it was hard not to take pictures of. Dan…great shots…there is so much interesting architecture in downtown Seattle. Have you done the underground tour from Pioneer Square? Very insightful to the early construction of the area…I’m glad we have a daughter who went to school up there and has stayed…great excuse to go up a couple times a year, as you know from my blog!! Thanks again for sharing!! Thanks Kirt. I did the underground tour in the 70s but I never went again. I like visiting but I don’t get as much of an opportunity as you. I always enjoy your pictures from that area. Very cool to take the opportunity of the door challenge to give us a virtual tour of a beautiful west coast city. As always great photos to illustrate your post. Thanks. I do enjoy the door series. It gives me a chance to explore smaller topics that wouldn’t otherwise fit in their own post.